Retired archaeologist Florence Lister, who now lives in Mancos, recounts adventures she had in the field during her long career. Her work took her not only to the American Southwest, but to Mexico, Europe and Africa. Florence Lister talked about Sun Temple during a Mesa Verde National Park tour she led just a few years ago. Students and fellow archaeologists continue to study her work at several major ancestral Puebloan sites across the Southwest. A woman who has inspired several generations of archaeologists apparently is not content to rest on her laurels. At the seemingly advanced age of 93, she’s hard at work on a paper to help settle a controversy surrounding a kiva at Aztec National Monument in New Mexico. And Florence Lister’s previous work lives on as well. Lister wasn’t around when the Falls Creek archaeological sites, which contained artifacts of ancestral Puebloans, were unearthed 80 years ago north of Durango. But her intellect, training, grasp of archaeology, meticulous research and writing skill produced the definitive Prehistory in Peril: The Worst and Best of Durango Archaeology in 1997, admirers say. “She’s one of my heroines, a brilliant woman,” said Julie Coleman, the U.S. Forest Service team leader who was in charge of gathering mummified body parts and artifacts from the Falls Creek sites. The ancient Puebloan artifacts were scattered among private collections, museums and Mesa Verde National Park. Lister and her late husband, Robert, are well-known in archaeological circles. Although she worked in his shadow for years, she produced groundbreaking work on her own. “She’s a brilliant woman,” said Mary Etta Eaton, manager of Canyons of the Ancients National Monument and director of the Anasazi Heritage Center near Cortez. Mark Varien, director of research at Crow Canyon Archaeological Center in Cortez, said Lister still lectures for the Crow Canyon traveling education program. The Florence C. and Robert H. Lister Fellowship is awarded every other year, Varien said. It gives $7,000 to support a doctoral candidate who is writing a dissertation about archaeology. The Listers worked in the United States, particularly in Chaco Canyon in northern New Mexico; the Sudan; Spain; Morocco; and Mexico. Bob Lister was working on a University of Utah project in the mid-1950s, salvaging artifacts ahead of the construction of Glen Canyon Dam, which created Lake Powell, when the Sudanese government notified the couple that they could excavate 1 square mile on the bank of the Nile River that would be under water with the completion of Aswan High Dam. The parcel was on the west bank of the Nile about 15 miles into the Sudan. 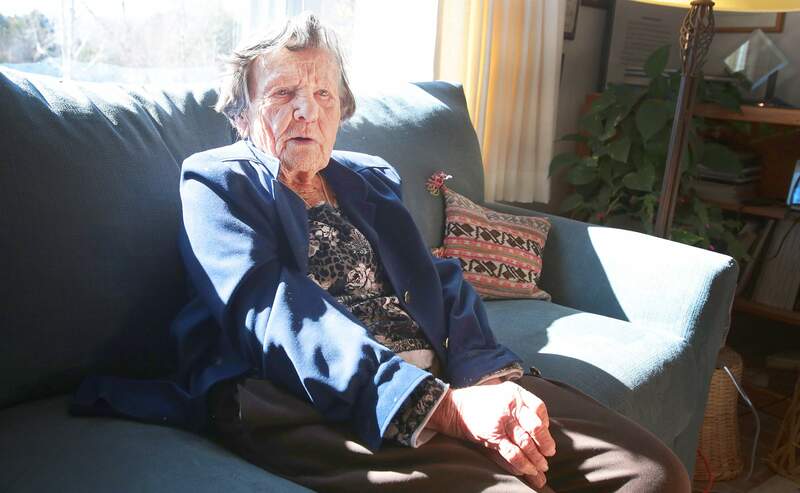 The area sheltered artifacts that spanned 10,000 years, from the Neanderthals to the post-Christian period, Florence Lister said in an interview last week at her Mancos home. She lives in a house the couple built in 1988. It faces south, with a view of Mesa Verde National Park where the couple did research. Lister no longer sees well, and she uses a walker to get around. But her mind is as keen as ever and she continues to work. The current project is to finish writing an article to clear up a controversy over an error in the reconstruction of the Grand Kiva at Aztec National Monument in New Mexico. The piece will be included in a work on the archaeology of the lower Animas Valley to be published by the Santa Fe-based Society for American Archaeology. Florence Lister turned her knowledge of Mesa Verde ceramics into a world-recognized expertise on colorful Maiolica pottery from Spain and, later, Mexico. Lister recalls recovering pottery as workers were tunneling for the subway in the Zócalo, the central plaza, in downtown Mexico City. The digging further undermined the foundations of the national cathedral at the Zócalo, she said. The Listers wrote a number of books, together or separately. 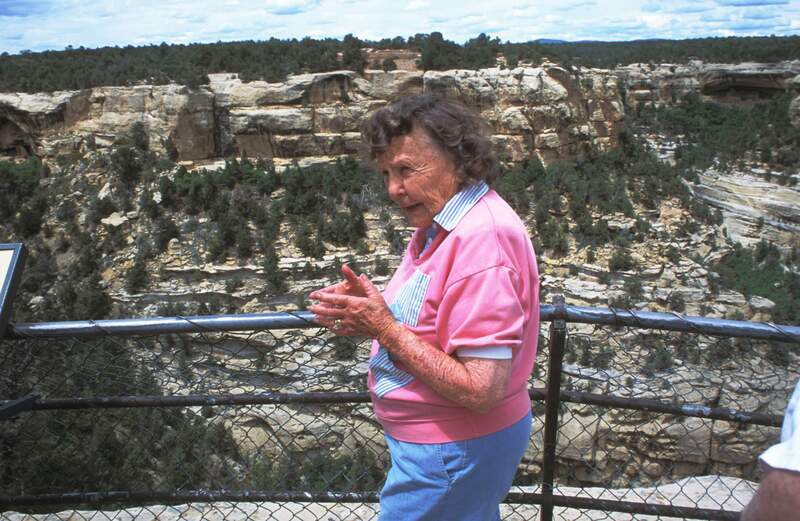 Jim Judge, who was hired by Bob Lister to do research at Crow Canyon and later became director of the project when Lister was hired as chief archaeology for the National Park Service, said her knowledge about Crow Canyon was invaluable. Eaton, with the Anasazi Heritage Center, admires Lister’s deft touch as a writer. Mona Charles, a professor in the anthropology department at Fort Lewis College, said Lister doesn’t know the influence she’s had on her. A few years ago when she was facing personal challenges, insomnia became an almost nightly constant, Charles said. “I’d get up and reread Prehistory in Peril,” which she cites often in her research, Charles said. “I discovered a writing rhythm overlooked before in my search for facts.